The following message has gone out by email to all Trust Members today. For those Trust Members who continue to kindly support the Community Share Scheme (“CSS”), your latest Share certificates are now written out and ready for you. It would greatly help us (and save postage or delivery costs) if as many as possible could collect their certificate before or after the Portsmouth or Charlton games this coming Saturday and next Tuesday. They will be available from the Trust table in the Caledonian Suite before the game and from Alan Cecil who will be in the same location for a while after each of those games. The CSS continues to provide essential funds for the Trust to meet its commitments and to help provide some vital items for the football club that they would otherwise not be able to afford. Thanks to all who have contributed to the CSS. ‘We’re Wycombe Whatever’ – Please Renew Your Season Ticket for 2019-20 NOW. The club’s owners, Wycombe Wanderers Trust, are in talks with two parties interested in taking a significant share of the club and opening a new chapter in the illustrious history of the Chairboys, with an outcome likely to be known before the end of the current season. In the meantime, Gareth Ainsworth’s men have a job to finish on the pitch, firstly guaranteeing survival in League 1 and then potentially achieving their highest ever league finish this century, as well as preparing to strengthen the squad for the 2019/20 campaign. And it’s business as usual off the pitch, as the club continues to work towards improving its experience for all visitors to Adams Park and strengthening its ties with the local community. 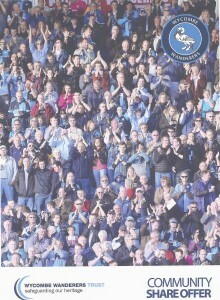 The club believes that many supporters will be sure to book their place for the new season come what may – proudly sharing the ‘We’re Wycombe, Whatever’ tagline – but for some, their allegiance to the Blues may be affected by the outcome of the investment prospects. 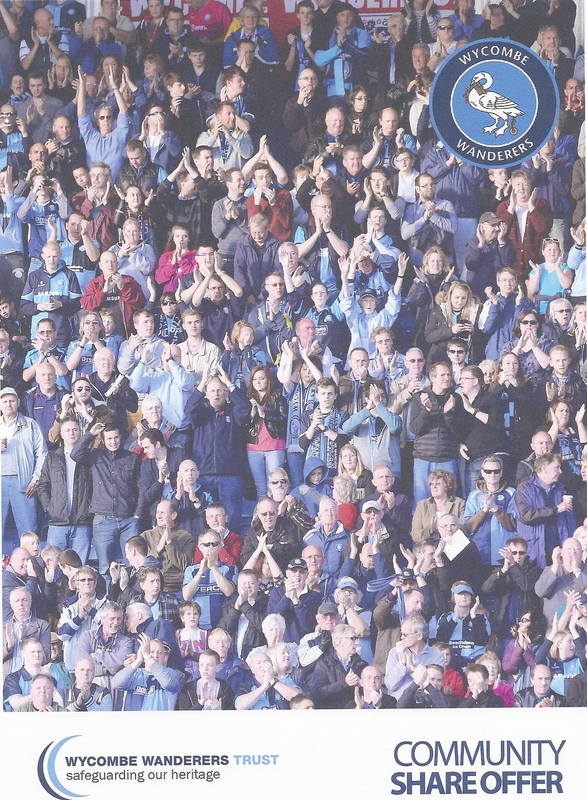 The Trust are keen to ensure that the values, traditions and heritage of the club are upheld whichever direction is taken, and that supporters should continue to feel proud to wear the badge and remain attached to the Wycombe Wanderers community. So with that in mind, the club have made a pledge that anybody who buys a season ticket during the ‘early bird’ window – closing on May 4th – will be entitled to a full refund of their season ticket by June 30th, if they choose not to continue their support of the team in this way. Simply contact the ticket office to arrange this. Wycombe Wanderers Trust are now able to update members on a revised timeline in the process relating to potential investment to provide long-term stability for the football club. As previously communicated, a meeting was due to be held on Monday 28th January whereby Legacy Members would hear a presentation of a formal offer made by two American businessmen – Bill Luby and Jim Collis – who are seeking a majority stake in the club. This presentation, to include more details of Bill and Jim’s vision for the club, would then have initiated a voting process whereby Legacy Members would be asked to approve the deal (requiring a 75% of ‘yes’ vote). This meeting was postponed at short notice after the Trust Board was made aware that Andrew Harman, a local businessmen and former player, was also interested in submitting an immediate formal bid for investment. Having previously held tentative discussions with the Trust board., Mr Harman met with a number of Trust directors in mid-January 2019 to present the outline of his proposal, which he also shared with supporters at a public meeting, Together with Bill Luby and Jim Collis, the Trust Board has agreed to halt the process in order to allow Mr Harman time to submit his offer. Mr Harman was initially asked to submit his formal offer in three weeks’ time (week commencing 18th February) but requested an extension of two weeks, which has been granted. While the Trust Board are keen for the process to move forward quickly, to enable the club to undertake long-term sustainability planning and start the planning process for next season. Mr Harman has indicated he needs more time to complete his due diligence and submit his offer. The new agreed timeline is that Mr Harman will submit his formal offer in the week commencing 4th March, including a meeting with the Trust Board to present his offer in detail. The Trust Board will then consider his offer alongside that of Mr Luby and Mr Collis, and call a Legacy Members meeting to update them on the situation as it stands. Further details of this meeting will be communicated in due course; it is very much the Trust’s intention to hold this as soon as possible after their meeting with Andrew Harman. At the Legacy Members’ meeting on 28th January, a request was made to reconsider the cut-off date for Trust membership which, providing the criteria is satisfied (i.e. Trust membership and season ticket holding for four consecutive years), would lead to Legacy Membership status. It has been agreed that the cut-off date for applications for Trust membership that would allow such applicants to become Legacy Members, has now been set at Saturday 23rd February. Applications can be made by completing the form which can be downloaded here or by obtaining and completing a form from the Trust Table at the next home game. Visit the website for a full summary of the Legacy Members meeting on Monday 28th January, or apply to join the WWT Live Stream group on Facebook to watch the full video of the event (Trust members only). The Trust board held a meeting for Legacy Members last Monday (28th January) at the Union Baptist Church on Easton Street in High Wycombe, attended by 227 Legacy Members, with a live stream available on Facebook for those unable to attend, plus all Trust members (receiving more than 600 views to date). During the meeting, chairman Trevor Stroud made a presentation in three parts – the slides of which can be seen here. The first part covered a timeline of the process which has led to the position outlined above; where the Trust will consider both bids in mid-March and explain the rationale for their recommendation to Legacy Members. 2019 (February): Trust board initially ask Mr Harman to submit an offer within three weeks, but agree to an extension of a further two weeks, as requested by Mr Harman. Trevor Stroud commented that Mr Harman has been asked to clarify the size of his investment offer, over what time period, and what type (i.e. debt or equity). The Trust board also require further detail on Mr Harman’s plans to settle existing club debt, his recommendation for rent payable to Frank Adams Legacy Limited by the club for the use of Adams Park, and the envisaged ongoing relationship between club and Trust. The Trust would like to explore Mr Harman’s plans for further investment beyond the initial injection of funds, and the structure of the proposed academy, plus its benefits to the football club. The Trust board have arranged to meet Mr Harman at the end of the five-week window, where he will present his offer and a new recommendation to members will be made. Arrangements for meetings with Trust/Legacy Members will be made in due course. In the event that Mr Harman does not submit an offer, the Trust will proceed with a Legacy Member vote on the offer made by Mr Luby and Mr Collis. Bill and Jim have been kept updated throughout this change in proceedings and have reiterated their desire to see the best possible outcome for the club, appreciating the magnitude of the situation and offering their full support. Q) Why was the Trust’s position (from 2016) not communicated to members sooner? A) The update was given to members at the meeting in September 2018 once a position had been agreed by the Trust board that they should proceed with talks with potential partners. There is a commercial sensitivity to publicly declaring the club is for sale. Q) Why have members not received details of Bill and Jim’s proposal? A) Members would have received details prior to originally scheduled meeting on 28th January, but this was placed on hold once it was revealed that Mr Harman wished to make a bid. A) Bill and Jim want to be involved with the club, but they want the best for the club, and recognise that if there is a better offer out there, they will walk away. We’re looking for a level playing field where we have two offers that can be placed alongside each other to enable us to make our recommendation to members. Q) Were all bidders allowed to take a majority stake? A) They were all aware that a majority stake was available if they desired. One party wished for a majority stake, one wished for a minority stake – a third party in August was aware of the other two bidders and wished us well. Q) Why can’t we see both bids? A) At this stage we only have one bid, and an expression of interest from another. We’ve had lots of expressions of interest down the years but once pushed, they have not made an offer. Q) Andrew Harman said the reason for his re-engagement in the process was that a Trust director had approached him to do so. Is that the case? A) We have continued to engage with other parties throughout the process. It had previously been indicated that Andrew was willing to remain in the background as a fallback. The Trust formed a sub-group to explore a Plan B in case the offer by Bill and Jim was rejected. Andrew was asked by one director in November if he would be available to come forward if required with a Plan B, and the answer was yes. Plan B (which was discussed with a team deputed by the Trust Board) was intended to be a fallback, not an alternative, which it now is. Q) You have said that an equity-based deal is preferable to a debt-based one. Why is that? A) The Americans would not be coming in as a creditor. They would be coming in as a partner to help us clear debt. We are placing as many safeguards as possible into the deal, to make sure that lessons from the past are learned, and mistakes are avoided. Q) Have you considered a Plan C – where the Americans and Andrew could work together? A) That has been put on the agenda for consideration. Q) Why have other opportunities not been heard about previously? A) Until 12 days ago we didn’t believe another proposal was there; we now know we will be receiving a second bid. The third offer has been there for a long time but has not been sufficient to bring to members. Q) Why are you allowing Andrew Harman back into the process now if it could scupper things? A) It’s fair, and we have to consider the best thing for the football club, so it is only right that we give him the opportunity to make an offer that we can consider. We want a level playing field. Q) Now we have two offers, can we not just vote on which one we prefer, and go with whichever gets the majority? A) We will look into the voting process once we have more information about the second bid. Q) Have you checked for proof of funds from the Americans? A) We have engaged an independent consultancy to carry out due diligence on both Bill and Jim, and will be doing the same on Andrew Harman. Everything we have received so far has confirmed they are men of substance. Q) Is Bill and Jim’s proposal based on personal investment, or through venture capital? A) It would be personal investment. Q) Are you accepting any new proposals, and are you setting a deadline? A) We think it’s unlikely there will be any new entrants into the process. We will agree a timetable with Andrew Harman and communicate that. We don’t have long; we need to move forward. Q) I understood from Andrew Harman’s meeting that he was not aware until January that a majority stake was available. A) Our communication with Andrew in August explained that we were in discussions with two parties; one regarding a majority stake, one regarding a minority stake. He wished us well with those discussions. Q) Will you reopen the process for new Legacy Members (i.e. season ticket holders of 4+ years who have not yet joined the Trust)? A) We will take advice on that from the relevant authorities. Q) If you go with the minority stake option, could the Trust accept this without a vote? A) The rules provide that a majority sale requires 75% approval from Legacy Members. There is nothing to say that a minority sale requires any vote/approval. There is a provision that if a significant change is made to the club, the Trust should seek to run a ballot of members. Trevor Stroud then continued with his presentation, relating to the loan which has been taken out with Bill Luby and Jim Collis, which resulted in a charge being placed on the stadium as security for the loan. – A bridge loan was required due to the critical cashflow situation through November and December (which was eased in January due to solidarity payments from the EFL). Bill and Jim were approached and the response was quick and supportive. – The loan came in two tranches; the first was definitely required, the second was dependent on ‘football fortune’. Once the club had exited both the FA Cup and Checkatrade Trophy in November, the second tranche was required. While the first tranche carried a charge on the club, the second carried a charge on Adams Park. Q) Have you sought loans from commercial partners? A) We are in constant dialogue with commercial partners, but have yet to find anyone willing to loan £500,000 unsecured. Q) Have you sought advice from Supporters Direct? A) Yes, there has been dialogue with them; Lawrie Read (Trust director) had a conference call just last week. Q) What would be the makeup of the club board if Andrew Harman is successful? A) That is yet to be discussed. Q) Will you change the rules relating to charges being placed on the stadium, to require member approval? A) Yes – this will be ratified in due course. Q) Why did we find out about the charge on Companies House, and were not informed before? A) As a fan, I’d want to be able to tell you everything. As chairman, we had to be conscious of the sensitivity of making things public. Q) Have you discussed a minority share with the Americans? A) Yes – they have indicated their preference in a majority share, based on the figure that they plan to invest in order to sustain the losses and develop the club. Q) Will we be paying off the loan soon? A) I don’t believe that to be the case. Q) Is there a conflict of interest with you being the chair of Trust and club, in the Trust board’s view? A) It has been raised, it has been discussed and it has been shared that the Trust board can review it at any time. The situation will be reviewed once this process is through. Q) Why is the voting on this decision not open to all members, but just Legacy Members? A) We wish it was, but in reality the rules were set up as a defence mechanism. There were concerns that it wouldn’t take much for somebody to get people to join the Trust and vote through the sale of the club. We set a high bar to ensure that the people that make the decision are season ticket holders, and in theory, the most loyal fans. To change that rule, we would need approval from 75% of Legacy Members. Q) How many Legacy Members are there? A) We have 810 Legacy Members. A Legacy Member is a Trust member who has held a season ticket for the past four consecutive seasons at least. We have close to 1,400 Trust members. Q) Will Andrew Harman’s proposal be funded by loans or equity? A) We are of the understanding that the answer to this at the moment is ‘don’t know’. Q) Will the situation be sorted by Easter? A) We very much hope so. Q) What happens to the club if neither offer goes through? A) It would be a serious situation. 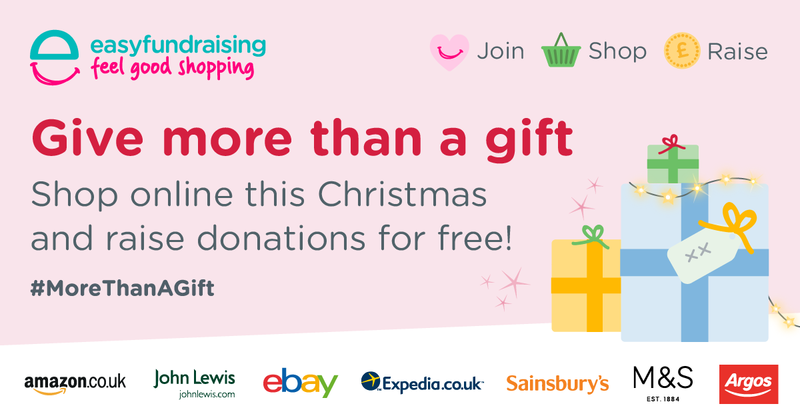 We’re performing really well on the pitch but need resources to help us keep doing that. Q) Would Bill and Jim clear the existing debt? A) They won’t come in and write a cheque to clear the debt, no. We have a deal in place to pay rent from the club to the Trust to help clear the debt, yes. Q) To what extent is there an opportunity to use investment income to establish an academy to help bring through the next Roger Johnsons, Jordon Ibes? A) The general view from the footballing side is that the academy model is flawed, for a number of reasons. The EPPP rules have changed since we sold Jordon Ibe, which restricts the amount of money that the lower clubs can receive. Sell-on fees can be a lottery, as with Kortney Hause moving on loan from Wolves to Aston Villa, rather than a permanent move. We feel there is a gap for a development/reserve squad, where talented youngsters from the Sports & Education Trust’s Elite & Development Academy might have an opportunity. Gareth Ainsworth is very good at identifying good players that have been let go by other clubs, such as Curtis Thompson and Alex Samuel. Q) When will see the details of the Americans’ proposal? Q) Has Andrew Harman signed an NDA and been given access to accounts? Q) Are you aware that Andrew Harman came into the Woodlands Lounge to talk to supporters, and was of the impression that the vote would be going ahead tonight? A) Andrew isn’t a Trust member so he wouldn’t have received the communication about it. The meeting then concluded at around 8.45pm. A full transcript of the Q&A sessions from the meeting is available upon request by emailing tony@wycombewandererstrust.com, or apply to join the WWT Live Stream group on Facebook to watch the full video of the event (Trust members only). 22.10.18 The Audit of Accounts for Wycombe Wanderers Supporters Group Ltd, (t/a WW Trust), Wycombe Wanderers Football Club Ltd and Frank Adams Legacy Ltd has now been completed and most of the respective boards have now signed off their annual reports (WWSGL will do theirs this week). Copy of the accounts for WWFC Ltd has now been sent to Ordinary and Founder Shareholders of that company by email (or by post where necessary) and a copy has been placed on this website under our Share Offer heading http://www.wycombewandererstrust.com/share-offer where, since the launch of the Trust Share Scheme, all our accounts have been available. Notwithstanding the success of the 500 Club in the last year or so, the WW Trust Share Scheme launched in 2015 continues to thrive and produce much needed income for the Football Club. Over ‘one hundred and eighty’ fans are still contributing with either monthly or annual payments to the Trust over a five year period and these are on top of the 160 who have made one-off payments in the last couple of years. Those single payments have been of amounts between the minimum of £100 and the maximum of £100,000. To date some £615,000 has been banked with a further £90,000 committed to be received over this and the next 2 seasons. So what are we doing with your money? Much of the initial inflow has gone into helping to stabilise the financial position of the football club by providing some much needed working capital. This allows WWFC to be able to pay its bills, (present and past) in line with agreed schedules and repayment plans. If you feel that fan ownership is worth more than the annual membership fee, then do join in with those who are contributing a bit (or a lot) more. See any Trust Director manning the table before each home game in the Caledonian Suite or go to our special Share Offer page via this link . I am writing to you to let you know of an important recent development regarding our Community Share Scheme. We have been informed by HMRC that shares to be issued under the Community Share Scheme will no longer qualify for tax relief under the Enterprise Investment Scheme, or EIS. HMRC would have been within their rights to withdraw EIS relief in respect of shares issued under the Scheme since late 2015. However, because we approached HMRC with our concerns on this matter, rather than it emerging in an HMRC audit, HMRC has confirmed that, as a concession, they will not look to withdraw relief retrospectively. This means that EIS 3 certificates issued up until 5 April 2018 will remain valid and those shareholders can continue to claim tax relief on their existing investment. However, we are, regrettably, no longer able to make EIS relief available for future share issues. A considerable number of investors under our Community Share Scheme invest on a regular basis. We will be writing to them shortly, to enquire whether they wish to make any change to their current payment instructions. Shares in the Community Share Scheme are issued quarterly; no new shares have been issued since 6 April this year, and we were due to issue the next round of shares after the end of June. Shareholders who have paid for shares in that period will therefore not yet have received their shares and, because of this change, will no longer qualify for EIS relief on their investment. We will of course be contacting those shareholders individually as soon as we can with an offer to return their monies in full if they wish. The Trust Board was in any event due to consider the future of the Community Share Scheme as we approach the end of our initial 5-year plan, and these changed circumstances will mean that we will do so as soon as we can. Despite the Club’s recent success on the field, it remains the case that ownership of a lower league football club is a financially precarious occupation. Many other clubs have owners with deep pockets who can underwrite losses and make substantial investment with a view to improving their teams’ chances of success; to enable Wycombe Wanderers to remain competitive in the medium to long term, the Trust, as the Club’s immediate owner, needs to be able to do the same. Until further notice, therefore, the Community Share Scheme will remain open for subscription, the only difference to the initial terms being the inability for investors to claim EIS relief on new investments. The Community Share Scheme has been one very important way in which Trust members, as the Club’s ultimate owners, have enabled us to support the Club financially in recent years. The Trust directors, and indeed the Club directors, are very grateful to those investors who have to date invested over £600,000 since the scheme was launched. We will continue to work with the Club directors to ensure that they have access to the necessary financial support to maintain the recent progress, both on and off the field, whether through initiatives such as the Community Share Scheme, the 500 Club, or any other ways of raising sustainable long-term finance. With best wishes – and here’s to a great season in League 1! Following the AGM in February 2015, some members were asking for clarification on what are the separate responsibilities and duties of the Trust and of the Football Club. Wycombe Wanderers Trust owns Wycombe Wanderers FC Ltd (the trading entity) and Frank Adams Legacy Limited as separate entities. Ownership of Adams Park (professionally assessed at £7million) is held within Frank Adams Legacy Limited (“FALL”). There is a separate FALL Board. Most major debts of the Trust sit under FALL, secured by charges on Adams Park. All our debts now have agreed repayment schedules. Wycombe Wanderers Trust relies on rental income from WWFC (the trading entity) to gradually pay down its creditors and loans via FALL (which include the Chairboys Funders interest). No takeover or change in ownership of the Club that would result in the Trust’s shareholding being less than 50% +1 can proceed without 75% approval from the Legacy Members. Legacy Members are members who are in their fourth (at least) consecutive year of holding a season ticket. Legacy membership is retained in future years as long as season ticket holding continues. There are over 800 Legacy Members at present. 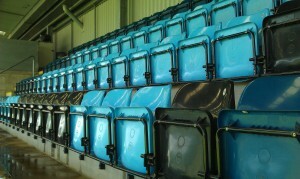 Wycombe Wanderers Football Club’s operations are managed by Trevor Stroud (WWFC Chairman) , Michael Davies (General Manager) and the other employees. Only the Wycombe Wanderers Trust Board can appoint and remove individuals to and from the WWFC club board (WWFC’s Club Board is made up of Ivor Beeks, Trevor Stroud and David Cook). 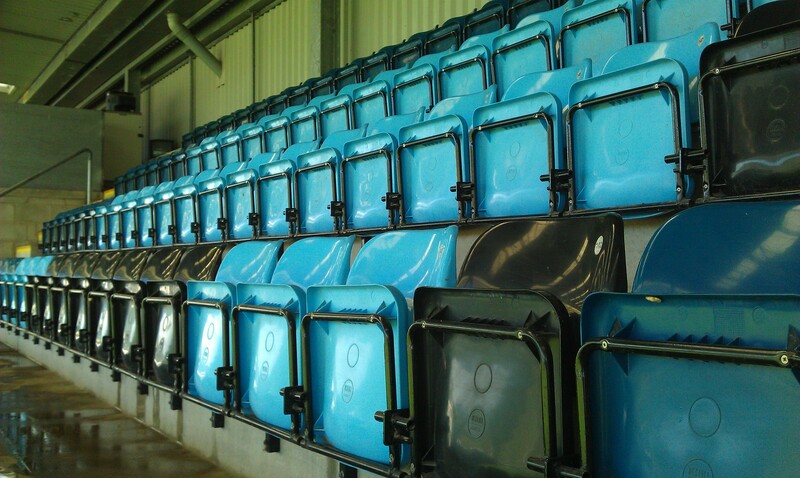 Wycombe Wanderers Trust is aware of an inappropriate comment which was made publicly by one of its members at the meeting at Adams Park yesterday evening. The Trust have today made contact with the member in question, who has acknowledged that the comment was unintentionally in extremely bad taste and apologised for the offence caused.